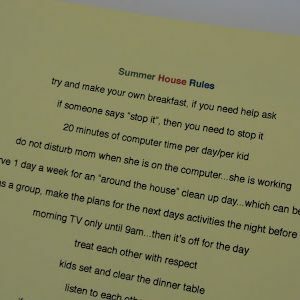 About this time every year, I sit down with my girls and we write out a list of summer house rules. In fact, we have been using the same summer house rules for a few years now. This year, however we decided that we need to make a few adjustments. 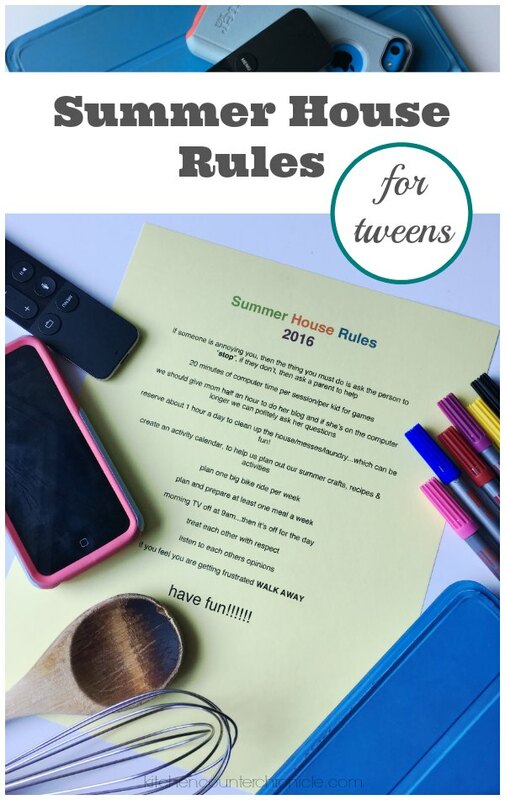 This is why we are revisiting the summer house rules with tweens in mind. Some of our house rules will remain the same. For instance, treating each other with respect is a no-brainer…that’s a 24-7 and 365 days a year expectation. We also still uphold the “if you are feeling frustrated, walk away” and “if someone says “stop”, then you need to stop” rules. I have to say, as a parent I use these rules all…the…time. Screen time is my real concern for this coming summer. My eldest daughter has an iPhone and my daughter has grown a healthy relationship with the iPad over the last few months. Holding to the old “20 minutes a day of screen time a day” is going to be a challenge (understatement). So, we have negotiated a new screen time rule. 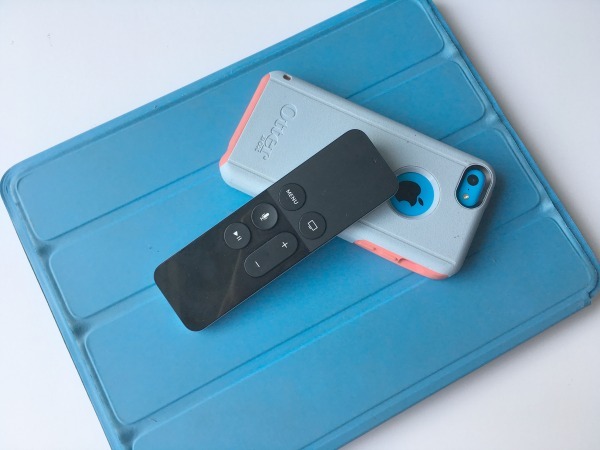 20 minutes per session on a device, with significant breaks in between. As my youngest informed us, spending more than 20 minutes on any given device is bad for your eyesight, posture and mood. Sounds reasonable to me. We will stick with our “morning TV watching until 9am” rule. I’m not a fan of spending the entire day staring at a television…there are too many awesome things to do. Which leads to our newest rule, we will create an activity calendar. 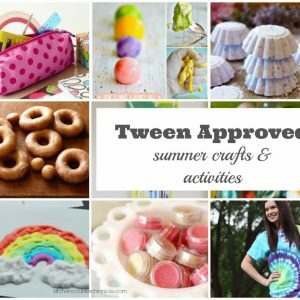 My eldest daughter created a list of activities, crafts and recipes that she wants to try over the summer. We will use this as a starting point and come up with a few creative activities to do each week. Planning out our activities in advance, even if it’s the night before, avoids the early morning arguments over what everyone wants to do for the day. I can’t stand those arguments. We will be adding some more responsibilities to the list. Beyond setting and clearing the table, the kids will be responsible for dinner planning and making at least 2 dinners each week. They will also be responsible for keeping their bedrooms in some sort of order. I’m adding laundry to their list too. Once your kid grows to be taller than you, there is absolutely no reason why she can’t operate the stacked washer/dryer…if I can reach, so can she. 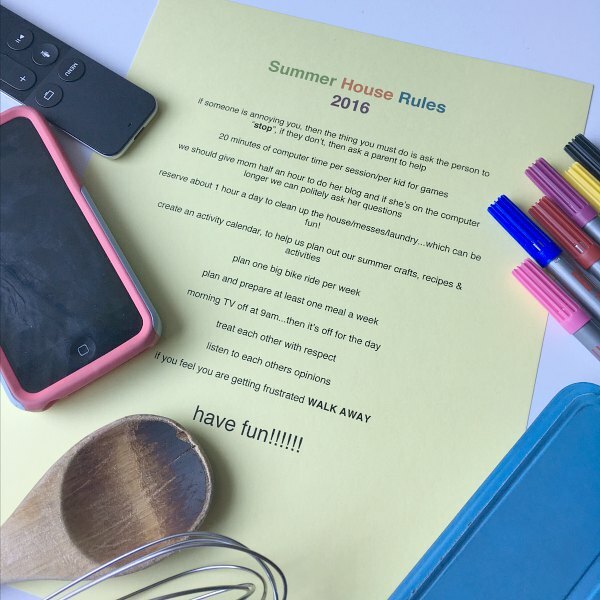 The main motivation behind creating summer house rules is to empower my daughters. We create the list of rules together. They participate in the creation of the rules and are therefore responsible for upholding them. Our rules aren’t meant to be restrictive…I know we won’t be quoting them every single day. Our rules are simply a framework that helps us negotiate the hot, summer days. To be honest, I am really looking forward to this summer. My girls are at a great age. We can travel around our city and explore new neighbourhoods, museums, art galleries and parks. Gone are the strollers and diaper bags…we don’t have to worry about nap time and snack time. What memories will we make this summer? I cannot wait to find out.